You can easily find our headquarters in Seltz - France. Please follow the directions. 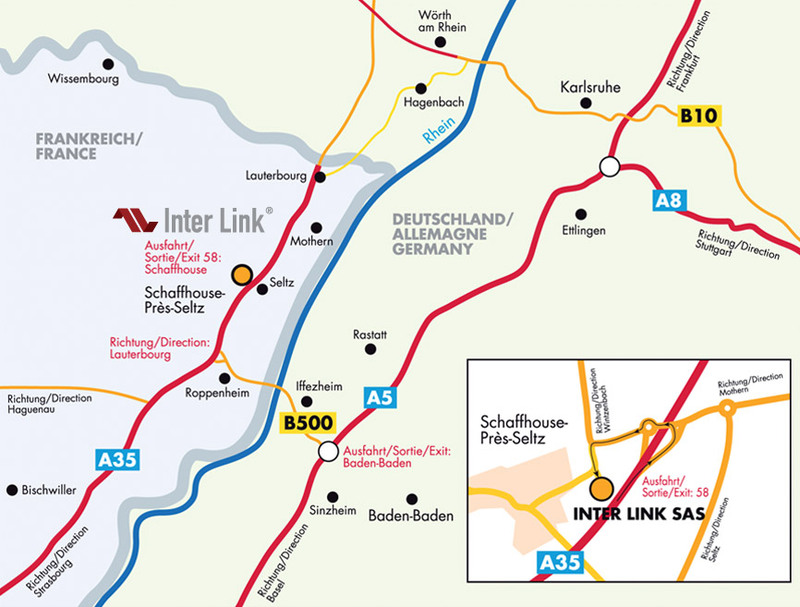 On your left you will see Inter Link premises and can use our on-site park.